Have a “blast” with Buzz, Woody, and Jesse on a Toy Story birthday party adventure you won’t forget. 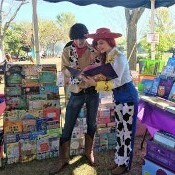 We offer three Toy Story birthday party packages to fit your child’s imagination and your budget: gold, silver, bronze. Choose two Toy Story characters to host and entertain your child and guests in our Interactive Theater when you opt for our gold package. Not only do our talented actors wear costumes, but they’re also theater-trained performers who sing and dance. Your little one and his/her friends will be enchanted. Your child will get to wear a special costume. Plus, all the birthday party guests will get to wear princess costumes, capes, or masks. 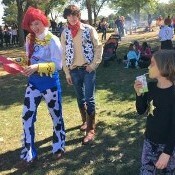 If you prefer to have a home birthday party, Woody, Jessie and Buzz can come to you. 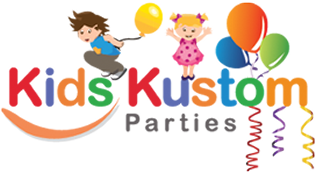 Learn more about kids party characters who can come to your venue. 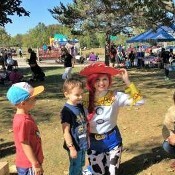 For an additional fee and more kids entertainment, balloon artists, jugglers, or face painters can also entertain your party guests at any of our kids’ parties. Your guests can also enjoy our popcorn machine or snow cone maker for an additional fee or a swap item. Toy Story was Pixar Animation Studios’ first full-length feature film. It was originally a branch of Star Wars’ co-creator George Lucas’s visual effects company. In 1986, Apple co-founder Steve Jobs purchased Pixar. Toy Story was a result of Pixar's collaboration with the Walt Disney Company.